Pictured above are some students, teachers, and staff that have been a part of making Prevention Project™ program possible! The Prevention Project™ curriculum is Richmond Justice Initiative’s signature, award-winning curriculum that was developed and produced by a committed group of human trafficking survivors, educators, law enforcement, and advocates from leading anti-trafficking organizations who have a passion to act against the perils of human trafficking, and who believe that if change is going to happen, it must begin with the young generations. We are so thankful for the students, teachers, non-profit leaders, community volunteers, youth leaders, etc. across the country who have advocated and implemented the Prevention Project program in their schools and organizations in 8 states so far! Thank you for raising your voices and contributing to the groundwork to get teen prevention education in your area! The Prevention Project program would also not be possible without the incredible support of individuals, organizations, and corporate donors! Thank you to everyone who has given to make a difference in the lives of over 16,000 youth around our country since 2012! 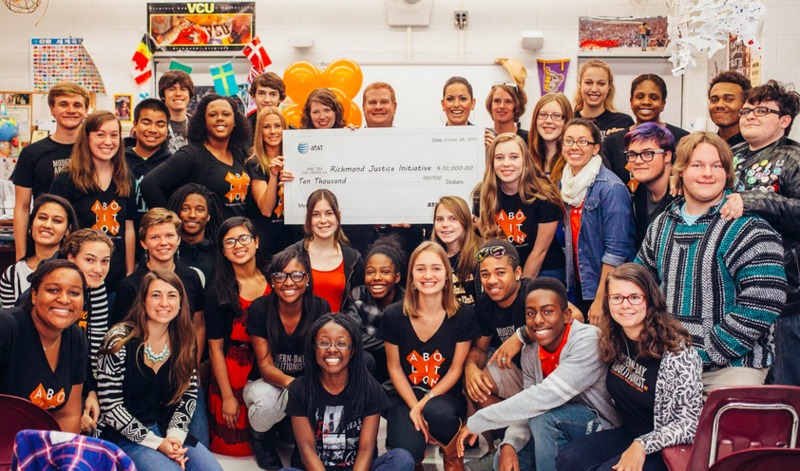 Thank you to AT&T who believed in Richmond Justice Initiative’s mission and propelled both the founding of the Prevention Project program through their initial grant in 2012 and its continued growth and impact through their sustained integral support!